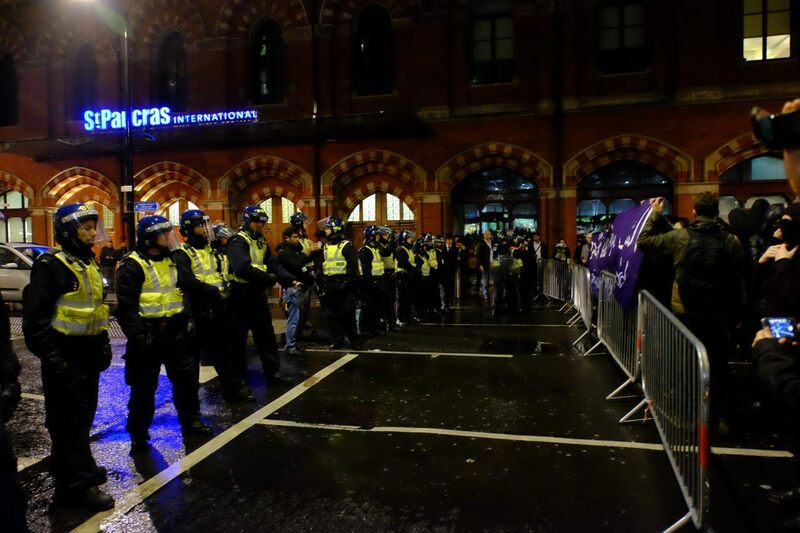 LONDON, United Kingdom – A throng of nearly 200 pro-migrant rioters descended on London’s St. Pancras mainline station tonight – the terminal that connects the UK’s capital city with Europe – to demand “no borders” and “no nations”. 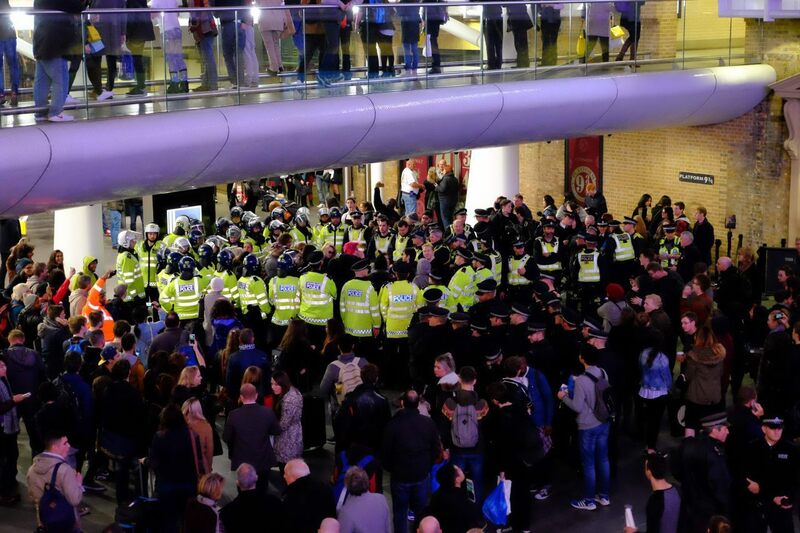 The scenes, brought to you exclusively by Breitbart London, shows violent clashes between police and protesters, with London’s cops looking woefully unprepared. Calais Migrant Solidarity, an umbrella group of hard-left protesters, descended on the station after attending an “Anarchist Book Fair” – seemingly undeterred by the hypocrisy of anarchist philosophy wanting less government intervention, while most of the protesters in attendance are familiar faces from left-wing marches demanding more government interference in the marketplace, and in civil society. And what they experienced tonight was just that – government in action – as they came head to head with London’s police. But in this case, it seems they were successful, breaking through police lines, and hurling smoke bombs into one of the busiest railway stations in the country, endangering themselves, police, members of the public, and tourists with their demands to welcome unlimited numbers of “refugees” into Britain. Police officers can be seen in the clip above forming a line outside the main entrance to the station, protecting members of the public and commuters from the group of masked and hooded individuals. But the thin blue line soon broke, as smoke bombs were kicked towards the hapless police, and the horde rushed through the entrance. Once inside, protesters were wrestled to the ground and turfed out, while others continued screaming in the faces of policemen and women, who are, as usual in Britain, unarmed. 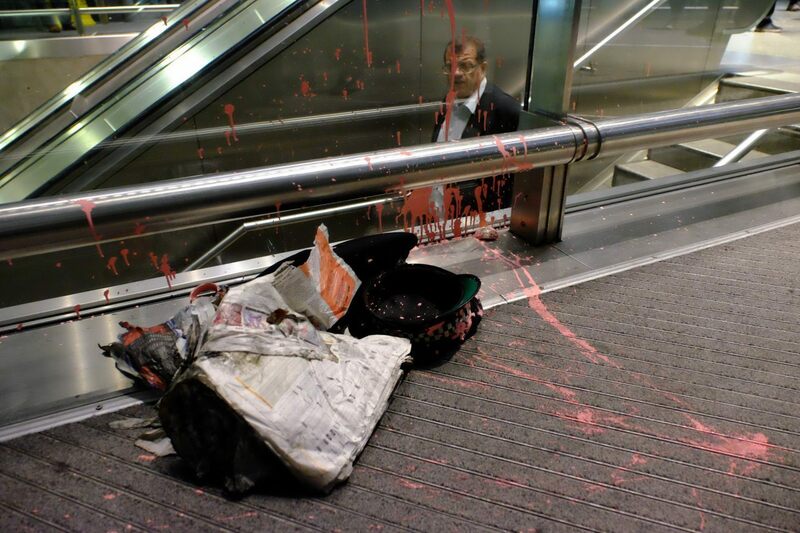 Incredibly, no arrests were made. 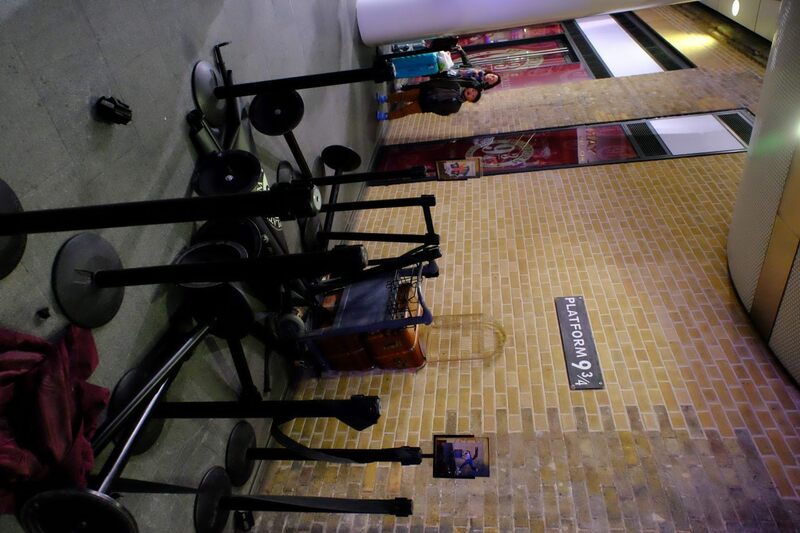 The protest also moved into the nearby Kings Cross station – home of the famous Harry Potter “Platform 9 and 3/4s” tourist attraction. Rioters gathered there, and were “kettled” or “penned in” by police. 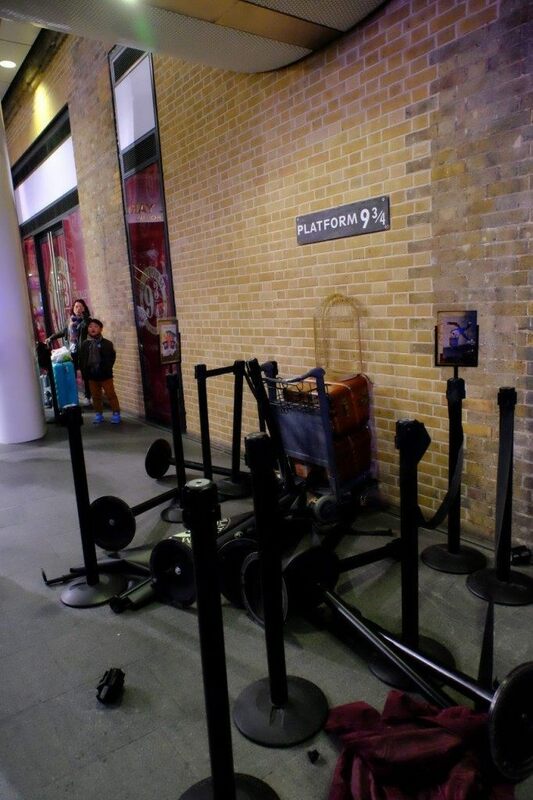 One eyewitness told Breitbart London: “A few stragglers got into Kings Cross and the tourists queuing up for the Harry Potter platform were affected as the police kettled them”. 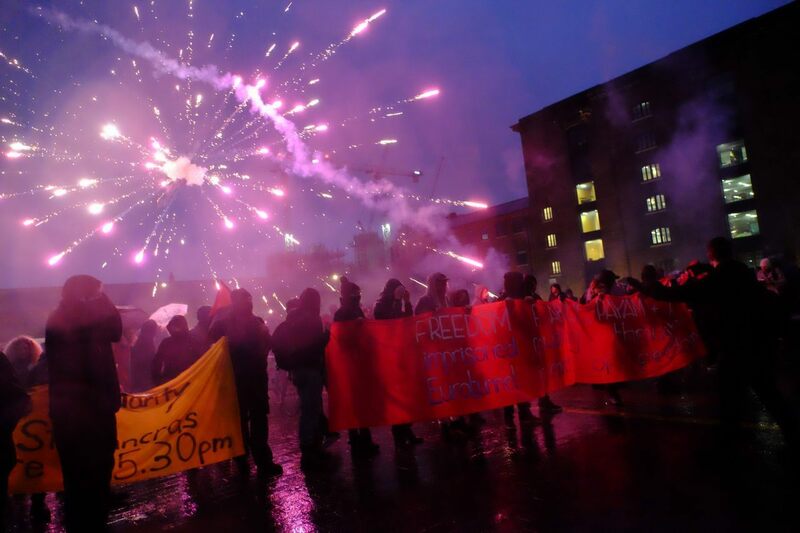 Calais Migrant Solidarity claim they gathered in London today to protest the imprisonment of three Muslim migrants who illegally crossed into the United Kingdom by walking through the Eurotunnel.